Designer Rugs: What really makes them a designer label? It’s a funny old question, what gives a product the right to display a designer tag? To some, it is simply a brand that carries the designer’s name, while others it’s uniqueness, the style or look that makes the product individual and recognisable. There is also an assumption that buying a designer or recognised brand is an assurance, you pay a little more, but you’re going to get better quality. What is a designer and what do they do? A designer is someone who creates plans, patterns and ideas within their various fields, be it fashion, architecture, products, graphics, internet or interiors. Creating a certain look and making it functional is what design is about. An interior designer will use off the shelf paints, wallcovering, flooring and furnishings, or upcycle old furniture to bring the elements together in a unique or interesting way. “Designer brands” tend to create a particular look or style in clothes, handbags, jewellery and watches but have them produced for a mass market. While clothing and clothing accessories and to some degree, home furnishings are accepted as designer brands, we rarely see iconic and inspirational designs in motor cars and electrical goods described as designer goods. Steve Jobs of Apple produced truly innovative designs in computers, iPhones and iPods, they look good and function well, why don’t we think of them as designer goods? We often just assume that designer brands and labels are a 20th-century thing but watch any edition of the Antiques Road Show and the first thing the experts will do, is look for a brand or a hallmark, often hidden on the item. Branding goes way back to medieval times when guildsmen stamped hallmarks on their metal works as a declaration of quality. Later the practice became the norm in high-end hand-painted pottery and porcelain, and it has always been the custom for the artist to sign their name on a unique work of art. So, should a designer product be something that is handmade? With items such as cars and electrical goods, we have always seen the brand and logo displayed on the exterior of the product. When it comes to clothing it was possibly denim jeans where we first saw the brand label displayed prominently on the outside of the garment. Brands such as Ted Baker, Calvin Klein, Paul Smith and Vivien Westwood are recognised designers of clothing and their brand is normally displayed prominently on the exterior of their casual clothing and accessories. Generally, these items are produced in bulk, which kind of makes them less exclusive than say a bespoke Savile Row suit. The aforementioned designers also offer a collection of rugs alongside their brand, but the rugs that bare their brand aren’t actually made by the designers. Ted Baker Rugs are distributed by Brink & Campman, Calvin Klein rugs by Nourison and Paul Smith and Vivian Westwood rugs by The Rug Company. Arguably, except for Vivien Westwood whose logo is often woven into the design, these designs are often so unoriginal that they could naturally exist in the marketplace anyway. So, is designer branding just a ploy to make us part with more of our money than we need to? Or do we need to show the label to satisfy our vanity? The rugs on sale at iwantarug.com do not have a designer tag but they are comparable with many of the designer rug brands. They are bespoke, meaning they are hand made to the size, shape and colours you require. Rugs and carpet runners that can be made as individual as you require. We offer a range of over 100 colours in wool and viscose (art silk) yarns there is a choice of textures too, we can carve around design elements to make them more prominent or we can produce in loop pile or a combination of cut and loop pile. Our website offers a host of templates and ideas for you to work from but in the end, it is you who are in charge of the finished design. If there’s a design or colour you want matched, email us an image or send us the design idea to work from. Our sample service is unlike our competitors in that we provide a colour sample of the rug quality, not colour poms which only show the colour, not the finished quality. There is a small charge to order our samples, but this is refunded once you place the order. Our online design software is designed to be really simple, all you need to do is input the size of the rug you require, this will quote you the finished price, then you can simply select the base or accent colour of your choice. There are areas in our rug design software that allow you to add pattern elements and build a design from scratch. Or you can email us your own ideas and we will build your design from there. At iwantarug.com there is no second guessing with the finished price or design as it’s all available before you order your feeler and colour samples. Once we send you the samples and design for approval we are both in a better position for any final adjusts. When you are happy to move to the production stage all you need to do is contact us, we will produce an invoice and take a deposit. The rug will take around 6 weeks to make, once it’s we’ll send a request for the balance of payment. This entry was posted in A Question on Rugs and tagged aviation, bespoke rugs, designer rugs, handmade rugs, modern rugs, Rugs, Wool Rugs on January 15, 2019 by encove. What is a handmade rug and why are some more expensive than others? When shopping for rugs online you’ll see a vast range of styles at various price points that use the term handmade. At first glance, this can be confusing because some rugs are really low priced while others are through the roof. So how does a handmade rug at a low price point actually compare with a high priced rug? The answer to this can be fairly complex as there are many permutations, however, the main factors are the quality and amount of the material used per square meter, and the hours of labour it takes to produce the rug. Put simply, some rugs use a cheaper grade of material, some rugs use less material in their construction, some take an hour to produce while others can take several months to weave. Material costs vary, generally, the most expensive component of the rug is the pile or decorative surface. The traditional material for a pile surface is woollen or synthetic yarn, however there are many other materials that can be used to produce a handmade rug, for example, silk, cotton, sisal, seagrass, jute, coir, hemp, linen, leather, rope and even shredded clothing can be woven to make rag rugs. Usually, rugs are made with either a soft cut pile surface with a secondary jute or integral woven backing, or they’re flat woven and the reverse of the rug can look similar to the face and feel like a heavy blanket. However, there are several variations to these textures such as shaggy piles which are longer and more open in construction or loop piles which is a continuous uncut texture. The material is important because it often depicts the style of rug that is being produced. Sisal and seagrass are courser natural fibres that are more suited to flat woven techniques, whereas softer more pliable yarns like wool, cotton and synthetic fibres are suited to both flat weave Kilim rugs and softer cut pile rugs. So, I’ve used the words “generally” and “usually” quite a lot because there are always exceptions and innovations in rug production. Some designer rugs will often mix different materials to create interesting textures, for example, the Calvin Klein Canyon rug uses a combination of viscose with suede. Of course, the designer element can add another modulation to the price. Buying a new rug with a “designer name tag” will add more than an innovative and exclusive element, the prestige of a designer label will always drastically reflect on the finished price. I’ve briefly established that the additional cost of a rug can differ because of the quality and quantity of material used, the labour hours it takes to produce and the label that you may be paying a premium for. Because of the work entailed in producing handmade rugs, the majority of new handmade rugs are produced in countries like India and China where labour is inexpensive. If we focus on the most popular of these, rugs made from wool, we can take start to understand the process. With a rug produced in wool fibre, there are three main methods of making the rug. The most timely and expensive method of producing a rug is hand-knotting, This method requires the weaver to create a frame and attach the vertical threads, this is called the warp. While there are many methods of hand weaving the one common factor is a warp. The warp is the threads that run the length of the rug, it is these threads that allow the construction and design of the rug to exist. Some rugs are produced with a pile surface while others are produced flat woven. The weft is the threads interwoven into the warp to hold the construction of the rug together. In the case of hand knotting, each yarn is physically tied and knotted to the warp and the weft is inserted to hold the rug in place, in case of kilim or flatwoven rugs the weft and the surface yarn can be on in the same. To make a hand-tufted rug the pattern is first drawn onto a base cloth and the yarn is inserted using a gun. Some of these guns are electric or compressed air while some are hand pulled. Either way the colours are added to the cloth in much the same way as you would paint by numbers. This entry was posted in Uncategorized on October 4, 2018 by encove. This entry was posted in Uncategorized on July 9, 2018 by encove. One hundred percent wool handmade bespoke rugs produced in virtually any length and width, where you choose the colours and design! Yes, believe it or not, there is now such a bespoke rug service available at iwantarug.com. What’s more, this custom made service is pitched at a price that is comparable to like for like qualities from many high street and internet retailers off the shelf brands. Why not be more exclusive in your home furnishings? It’s always puzzled me why some women get upset at wearing the same dress as someone else at a party. Yet, are quite happy to walk into someone else’s home and happily exclaim, “I’ve got those cushions”. We are surrounded by mass production, it’s claimed one in ten Europeans are conceived on “Ikea” beds, and one in five Brits use their mattresses. Every time I’ve visited Ikea, I can’t ever recall seeing anyone struggling with a bed or mattress in their trolley. Which makes me wonder, what percentage of soft furnishings and home décor items are we are stuffing into our homes? The mind boggles to think just how many of us actually must have exactly the same décor. Being individual by having a custom-made rug produced shouldn’t be restricted to the super-rich, at iwantarug.com we want to bring a level of exclusivity to the average householder. Our custom made rugs can be as individual as you, it just takes a few minutes to design, size and colour. Okay, it’s going to be more expensive than your run of the mill rugs, but we’ve pitched our price to be directly comparable with similar quality branded rugs. The most common reason for choosing a bespoke rug is often the size. Our design software will allow the customer to size and price a rug from as small as 60cm x 120cm up to 400cm x 600cm. Long and thin, square, oval, hexagonal or round, the client can manipulate virtually any shape and size. We can do larger and smaller sizes, just call us for a quote. Maybe there’s call for a client to have a company or club logo designed into a rug. That isn’t a problem, we just need a good quality image of the logo to start the ball rolling. 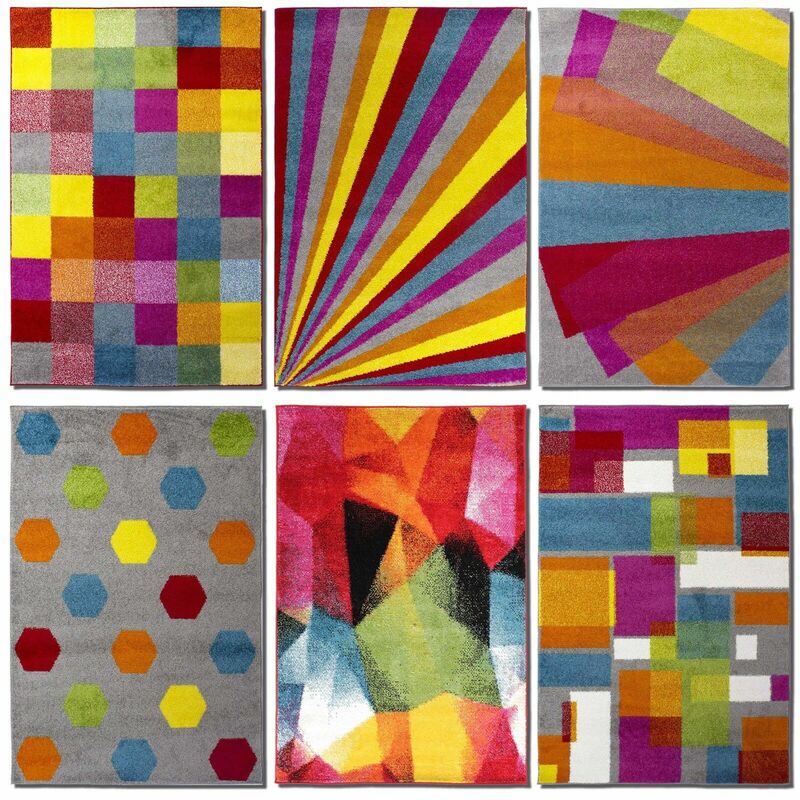 At Rug Zone we produced many designs that were different and exciting, to escape from the corporately branded styles. To help us visualise our designs as rugs, we developed textured templates and picked the colour from poms, that offered over 1,400 colour options. Which shade of the 50 blue hues should we use with which of the 80 shades of beige? The task became a nightmare. To simplify the colouring process, we turned to contemporary matt emulsion colour charts, the theory being if the paint is popular then the rug colours will need to match. We also added a splash of classic colours to round off the selection. With all that colour choice we had available, over 90% of the rugs we produced, used less than 50 colours. To allow the customer to colour and design their own bespoke rugs online, we have adapted the template design system we used to visualise our textured rug images to iwantarug.com. By virtually doubling the colour availability to 96 colours we believe that should be a colour combination for everyone. Using this controlled colour bank has another advantage, it is possible to have plain samples produced in the quality of the actual rug the customer will receive. We can cut and send the customer feeler samples in the colours to be used in their custom-made rug, alleviating any worries regarding quality, texture and colour. In the unlikely event that there isn’t a colour in our offering, we can always revert back to the 1400 colour poms. Our online design app will allow you to produce and colour, a rug in the size and colours to suit the customer. It’s there to give you a visual impression and cost of the rug. It will distort the design to fit the size of the required rug. Our templates normally assume the rug is going to be an oblong shape, but the client may be opting for a square or a long narrow carpet runner, here the design elements could look a little out of proportion. The client and ourselves will be able to see this instantly, and we will make in-house adjusts to marry the design with the shape of the rug. As with any bespoke products we expect the customer to want to tweak the design. A typical example is in the above photo of a rug we had recently produced for a client. This customer wanted a rug in a non-standard 180cm x 250cm size to sit centrally in a hall. He requested it coloured in plain cream, with a terracotta and black border to match his marble tiles. We produced the pattern using our standard template and forwarded him the design plan for approval. He asked; “Would it be possible to make the border the same size as the tile”? He sent us the sizes and we reproduced the design template to the exact dimensions of the border tiles. A relatively simple request that is easy to execute, which is what our bespoke rug service is about. About the rugs we produce. Over the years we have had many wool rugs produced from handmade carpet suppliers in Bhadohi, also known as “Carpet City”. Located in the Uttar Pradesh region of India, whose most famous landmark is the Taj Mahal, Bhadohi is renowned for the production of carpets and rugs, producing and exporting around 40% of the worlds handmade carpets and rugs. “That’s a lot of experience”. Profile our custom made rugs. Our supplier is highly experienced in the production of hand woven and hand-tufted rugs, they have produced rugs for some of the biggest and most renowned rug brand in the world. The rugs are hand-tufted using 100% wool, it’s a high-grade longer staple length wool that is less prone to excessive shedding. We opt for a shorter, more compact cut pile surface that keeps its shape longer and is better for carving. The backing of the rug uses a good quality hessian and is folded and taped for a clean edge. Because we are buying and shipping direct from the maker, we can keep the costs to a minimum. With no middlemen and no “big brand” marketing costs, we price the finished bespoke rug, delivered to the client’s door, at similar or less per square metre price than high street brands. How cool is that? Producing bespoke rugs isn’t new to us, however letting the client lose on the design tool, is. We encourage you to take a look, design and share this concept on social media. Any constructive comments that will help make the design, colouration and purchasing experience better, are welcome. This entry was posted in A Question on Rugs and tagged bespoke rugs, custom made rugs, fashion, home decor, interior decorating, interiors, made to measure rugs, measurement, modern rugs, Rugs, runners, shape, Wool Rugs on May 7, 2018 by encove. Opinions vary as to the function of a rug; on one hand there are some use rugs simply to protect fitted carpet or wood flooring and others use rugs as a decorative centrepiece to a room. With the increase use of real wood flooring in our homes many more large rugs are now used under dining tables and beds. Whatever or wherever your rug is to go, when choosing your new rug, other than colour, there are a few basic things you should take into account theses are size, texture and design. You will first need to establish the size of rug that you require to cover the area of your floor taking into account the positioning of furniture you are using to compliment the rugs. This can be done with a tape measure by taking the rough length and width of the area you wish to cover. Because manufactures don’t have a standard sizes it is highly unlikely that the rug you select will get the exact size for the area so you will often need to compromise a little, that is to say, you may have to settle for a slightly larger or smaller size. When planning to use the rug in conjunction with settees and occasional furniture such as a coffee table, think about the overall effect. The popular option is to sit a coffee table on the rug, however to do this you may require the rug to be fair bit larger than the coffee table or the overall effect of the rug may be lost. In contrast when using a coffee table with a glass top you can often afford to use smaller rugs as the design or texture will be visible through the glass. When using a rug under a dining table establish whether you require a rug that is large enough to accommodate both table and dining chairs, or just large enough to accommodate the table. Dining room tables are often extendable so don’t forget to allow for this. Popular sizes for rugs under dining tables vary between 160cm x 230cm and 200cm x 300cm. Using rugs under beds has become increasingly popular particularly on wood flooring as many of us still prefer to step out of bed onto a soft warm rug rather than cold hard flooring. You can use an extra large rug that will cover a large area of unseen and unused area under the bed, whilst there is a degree of waste the advantage is that it will also dampen the sound of creaky old beds echoing around the home. You can also lay smaller rugs each side of a bed a popular bedroom choice for rugs is single or double sheepskins. A rugs texture will vary dramatically from product to product and your final choice will depend upon varying factors including, visual appearance, underfoot comfort and durability. Rugs that have a high degree of intricate design are usually produced closely woven on a short velvet pile, whereas plainer rugs will generally rely on shaggy, twisted or carved textures to enhance the overall appearance. Some rugs will have a combination of textures the most popular being cut and loop, this is a texture of a soft cut velvet pile combined with a harder loop pile. Rug designs come in four main styles, Plain, Traditional, Modern or Transitional. Plain rugs use a single colour, classic or traditional rugs are designed using a Persian or Oriental style design usually using a combination of five or more colours. Modern or contemporary rugs use abstract or geometric designs or a combination of abstract and geometric to create a modern design. Transitional rugs are designs that are an amalgamation of traditional and modern designs. A typical transitional design in today’s market would be the many contemporary Damask designs available. This entry was posted in Rugs Information and Articles and tagged modern rug, multicolour, Rugs, traditional rugs, Wool Rugs on August 2, 2017 by encove. Ah love a bit of flat weave, me! That’s flat woven rugs if you didn’t already know. These are rugs that have no pile to speak of the surface texture resembles a blanket rather than a carpet. Many of these are woven like heavy throws using wool, cotton or acrylic fabrics better known as Kilim rugs. You know the sort of thing you’d expect to see in a shop Laura Ashley.. The type of thing you won’t find on our website, simply because in my opinion they are not worth the money. They never stay in place, curl up and move on virtually any surface you put them on. It is literally like having a blanket on the floor. But it’s the other type of flat weave that I like! The ones produced on Wilton looms and have the backing stiffened to give a rigid stability. With a surface yarn of durable polypropylene woven into the warp and weft (backing) usually with only two to three colours to produce the design. Whats lost on colour is usually made up with the way the yarn skips a row here and there while exposing the weft threads to produce intricate natural textured tones in combinations of herringbone, dogtooth, checks, plaids barleycorn and twills. The Wilton looms can produce virtual high and low yarn finish to create simply stunning effects. I have to admit flat weaves do lack in comfort because they don’t have a soft pile to sink into. But there are many areas in the home where practicality overrides comfort. For example, halls, kitchens and conservatories are typical of a living space that benefit from less underfoot comfort. Easy cleaning is essential in these locations because they are generally the work areas of the home. These areas of the home are also the most likely to have a hard floor surface and without a shadow of doubt because of the light weight, thin profile a Wilton woven flatweave rug sits better on a hard floor than it does on a carpet. When you consider your next rug for an area of the home with a hard floor surface, don’t just head for the deep soft shaggy rugs, take a look first at the flatweaves on offer at rugzone.co.uk and be amazed at the stunning designs and weave patterns on offer. This entry was posted in Uncategorized on April 26, 2017 by encove. You want your home to be comfortable and look beautiful specially inside. There are of ways to do this. You ensure that the layout is pleasing to the eyes, maximize space. You can put decorative materials on the walls and floors. When it comes to home decorations, modern rugs and carpets are the best. They are not only used for beautification purposes, but also for protective purposes. They protect floors from premature damages and also protect people from accidents. Naked floors are usually slippery specially when wet and more than a few people have been injured because of them. This entry was posted in Uncategorized on February 14, 2017 by encove.